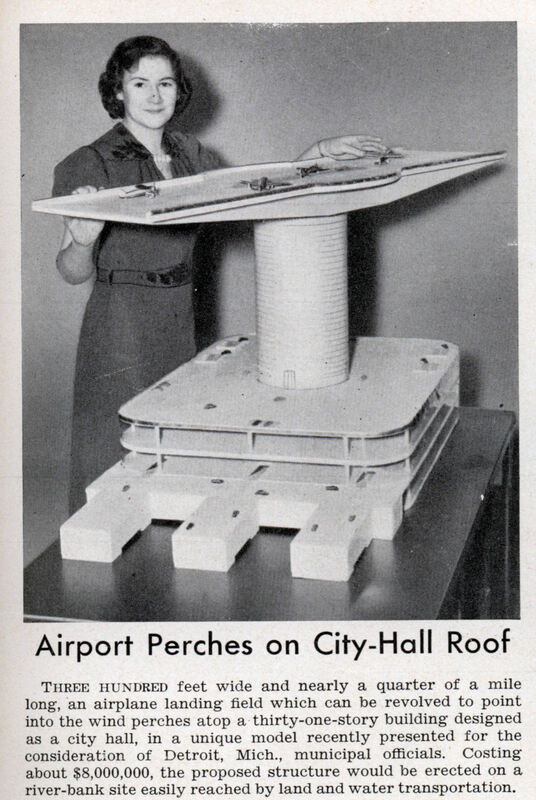 Three hundred feet wide and nearly a quarter of a mile long, an airplane landing field which can be revolved to point into the wind perches atop a thirty-one-story building designed as a city hall, in a unique model recently presented for the consideration of Detroit, Mich., municipal officials. Costing about $8,000,000, the proposed structure would be erected on a river-bank site easily reached by land and water transportation. Methinks this would be a bit tipsy…especially in a strong wind. No supports or guy wires?